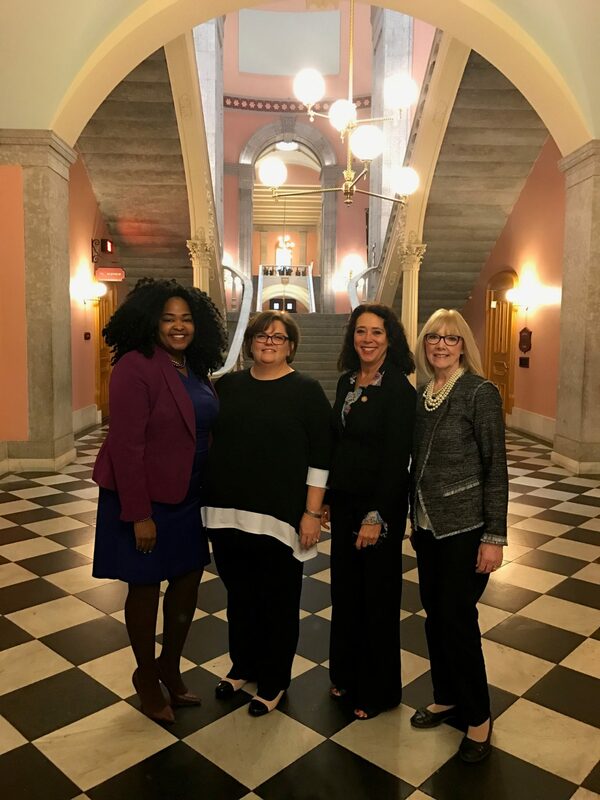 Several of FSR’s Patient Ambassadors have been making waves to raise awareness of sarcoidosis with their local legislators. 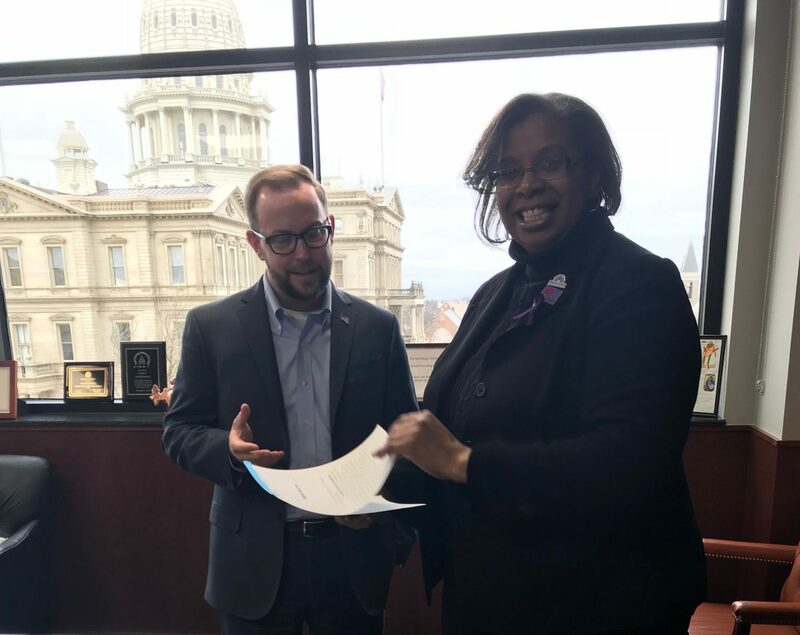 While many ambassadors and other volunteers work towards obtaining state proclamations recognizing April as Sarcoidosis Awareness Month in their state, this is an action that has to be redone each year. However, it is possible to get permanent recognition of this awareness month with a little help from a local representative and some extra legwork. It’s not always an easy task, but several FSR Ambassadors have been up to the challenge this year. 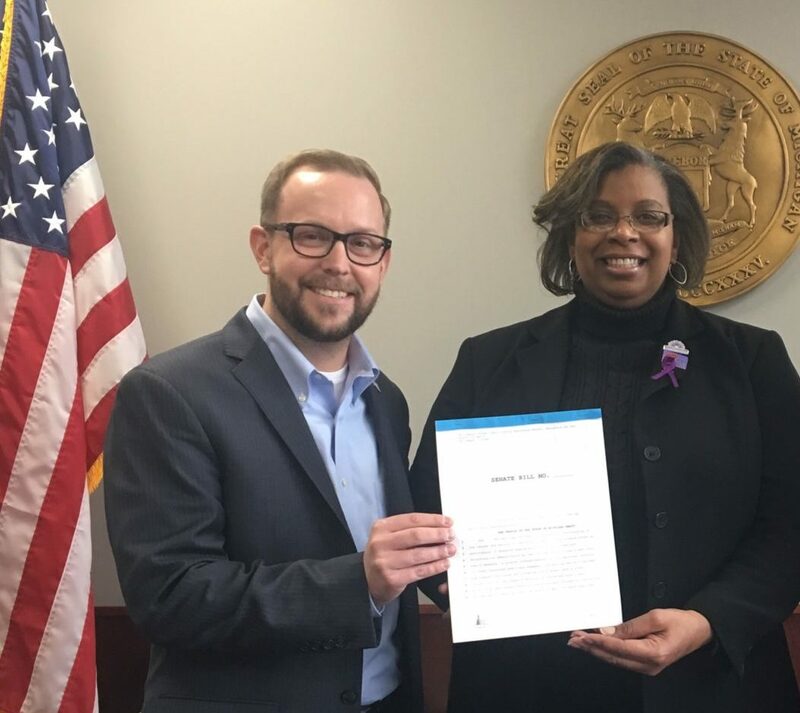 Ambassador Sheron from Michigan worked with her state senator David Knezek to introduce a bill that will permanently commemorate April as Sarcoidosis Awareness Month. Knezek, acting as the sponsor for the bill, introduced it to the Michigan State Senate on January 25th as Michigan Senate Bill 783. Additionally, FSR Ambassador Jude joined a group that was introducing a similar bill in her home state of Ohio. House Bill 335, sponsored by Representatives Stephanie Howes and Michele LePore-Hagan, was introduced in September of 2017. Ambassador Jude was present to support the bill in November of 2017 as it was passed unanimously by the House. She will be providing testimony on behalf of FSR, alongside a representative from the Cleveland Clinic, when the Senate committee meeting takes place sometime this Spring. Additionally, dozens of other FSR Ambassadors and volunteers are working towards different levels of recognition of Sarcoidosis Awareness Month in their states and hometowns as well. Learn more about how to obtain a proclamation for Sarcoidosis Awareness Month and raise awareness within your community! Are you working hard to raise awareness about sarcoidosis within your community? Tell us about it and share your story!